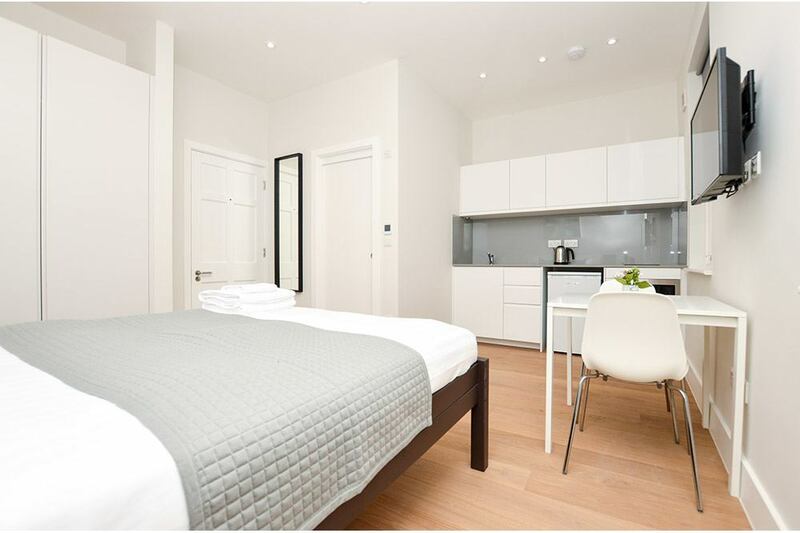 Warren Street Apartments are set in the heart of London within the Fitzrovia neighbourhood..
Warren Street Apartments are set in the heart of London within the Fitzrovia neighbourhood just a short walk from popular hotspots like Oxford Street, Regent Street, Marylebone, Soho and Covent Garden. 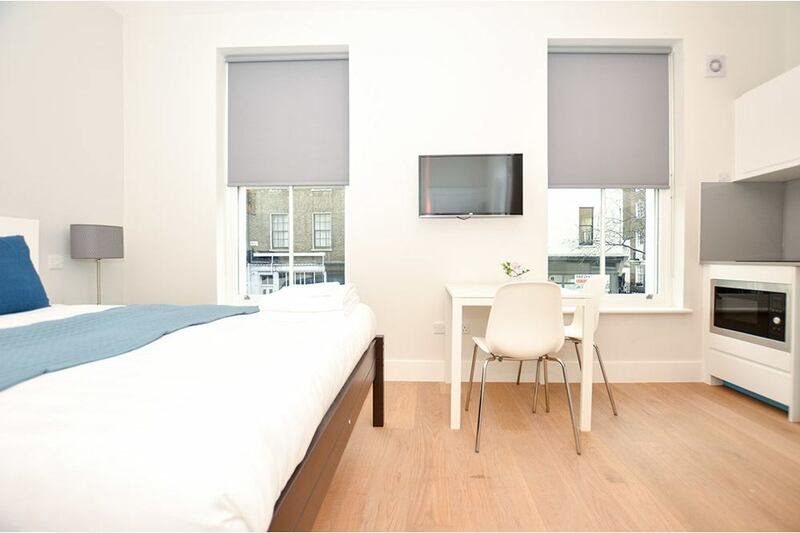 It is perfectly placed to enjoy the best of London's sights, entertainment and shopping and you can quickly get to attractions like the British Museum, Theatreland, National Gallery, Trafalgar Square, Madame Tussauds Wax Museum, London Zoo, Selfridges department store and many more. 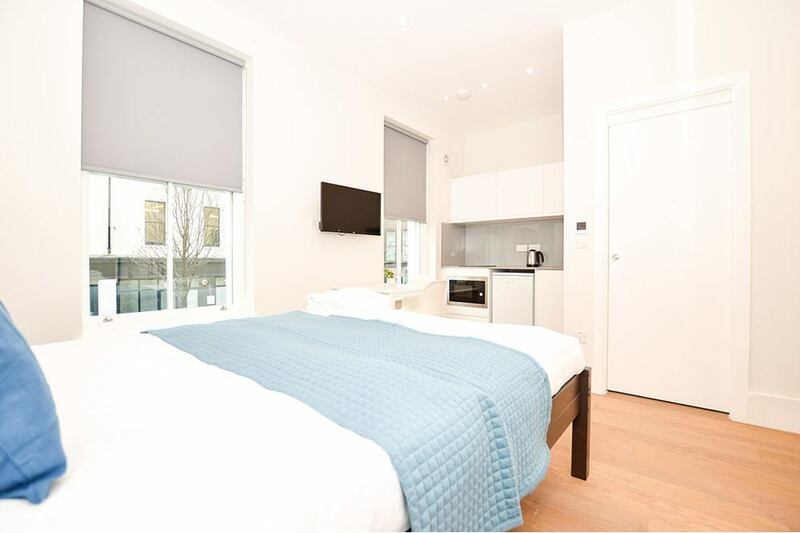 You can also explore the beautiful Regents Park, which is home to the London Zoo or venture further towards Camden, known for its eclectic market and picturesque canalways. 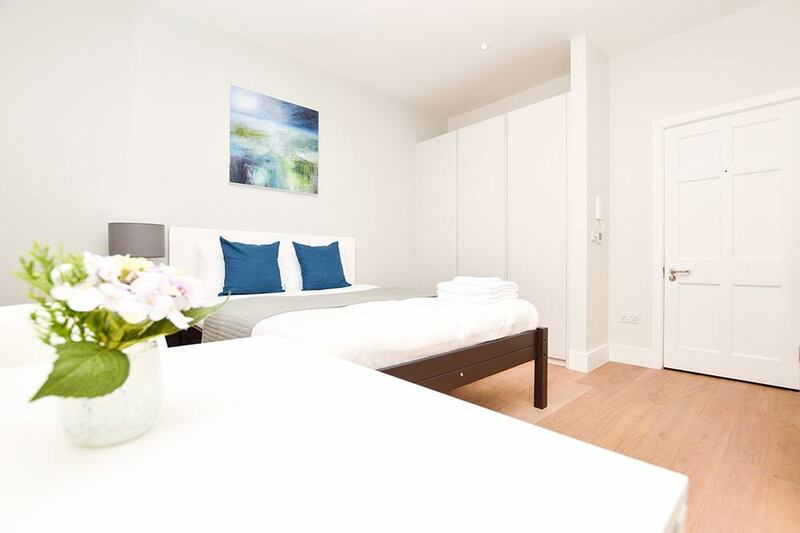 Travel connections from here to the rest of the city are superb by bus or tube and you are only minutes from some of the best restaurants, cafes and eateries the city has to offer. 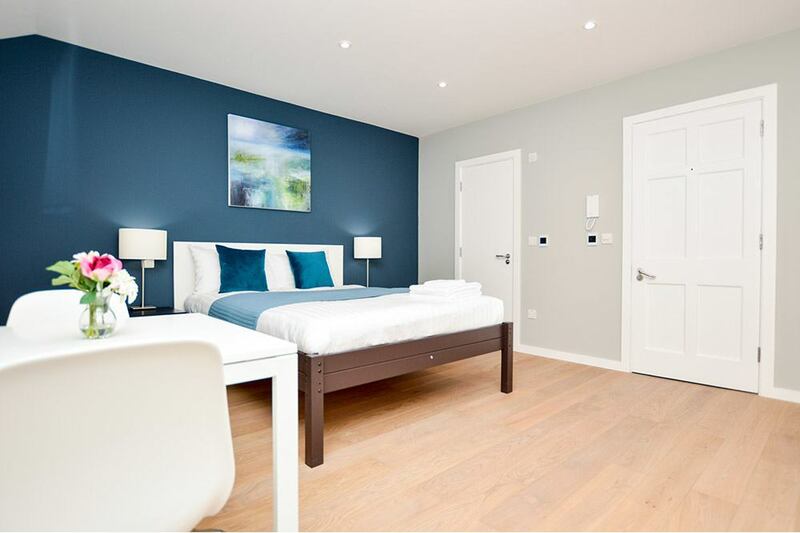 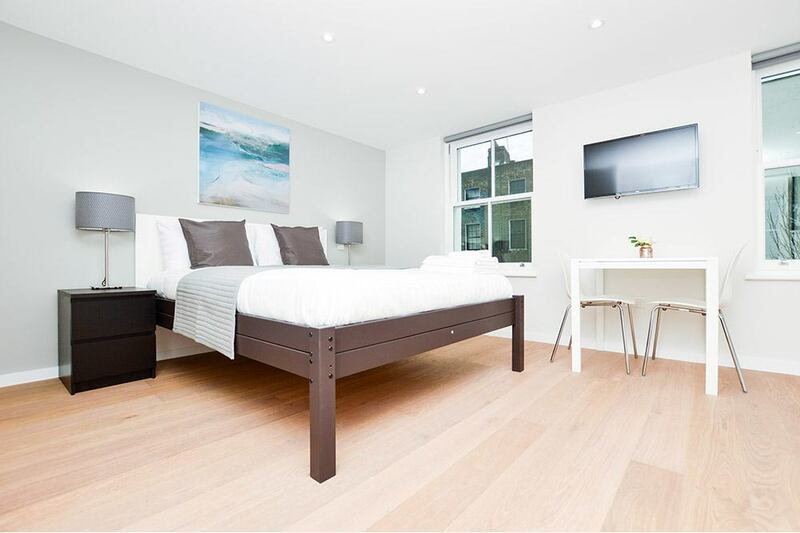 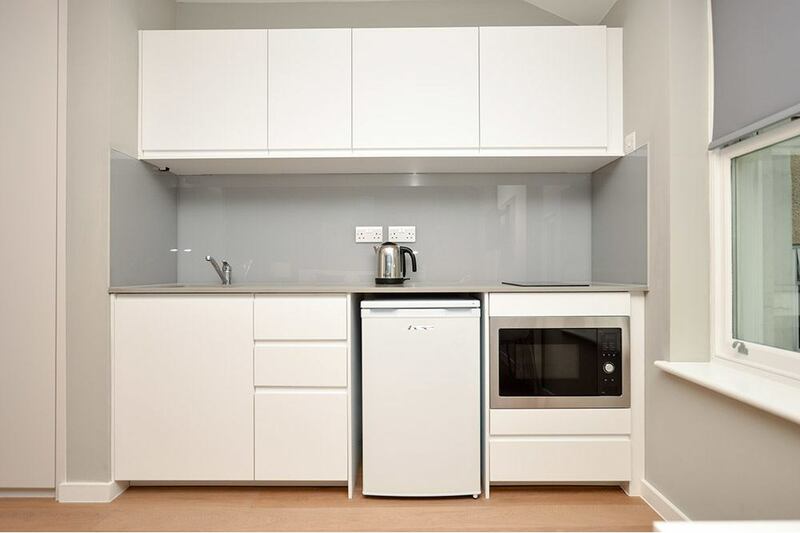 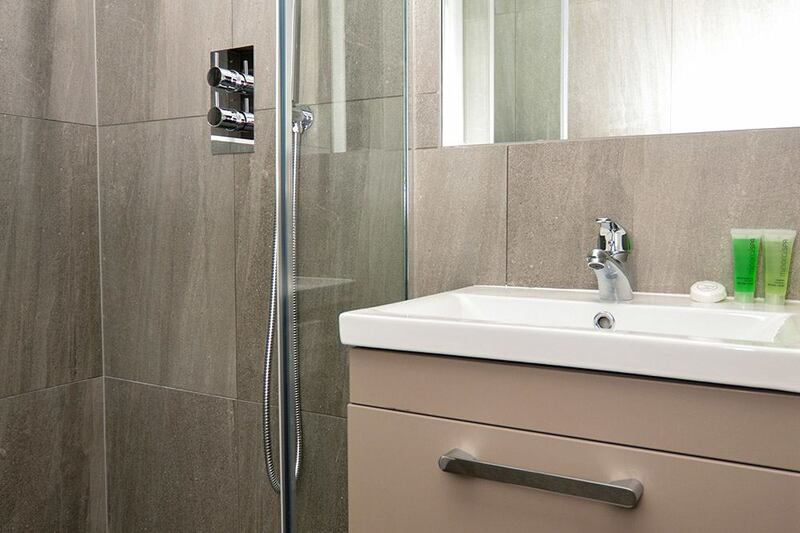 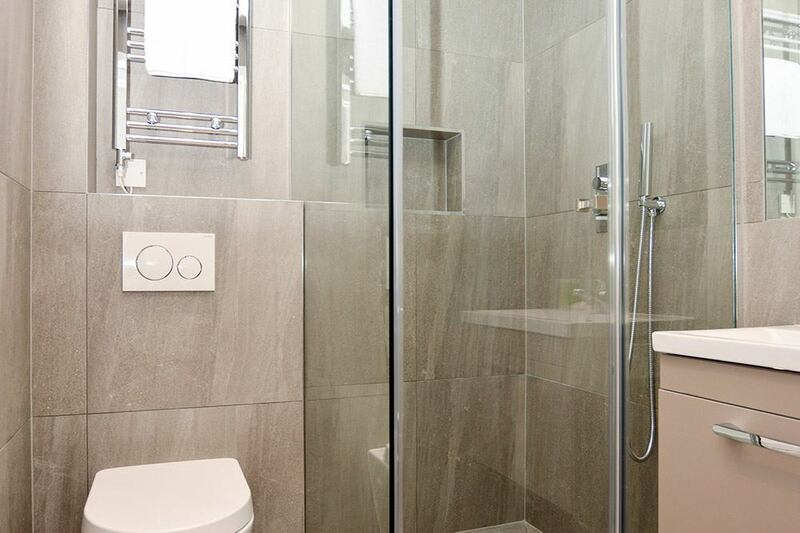 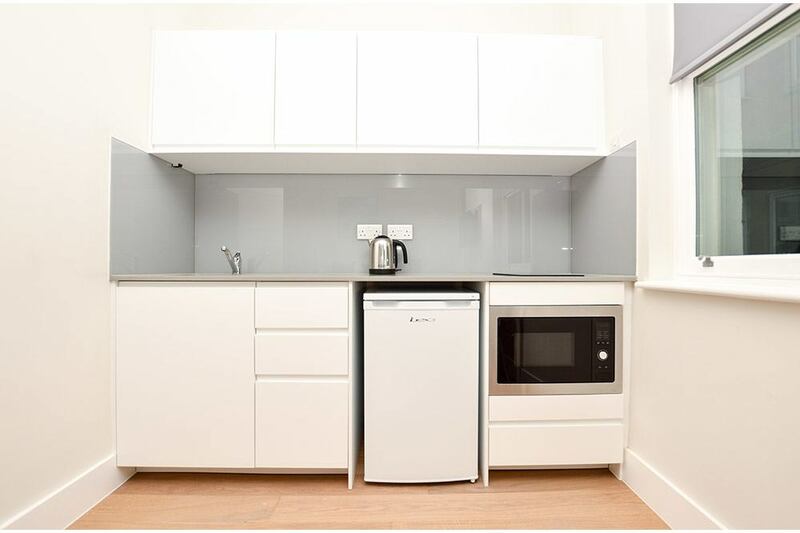 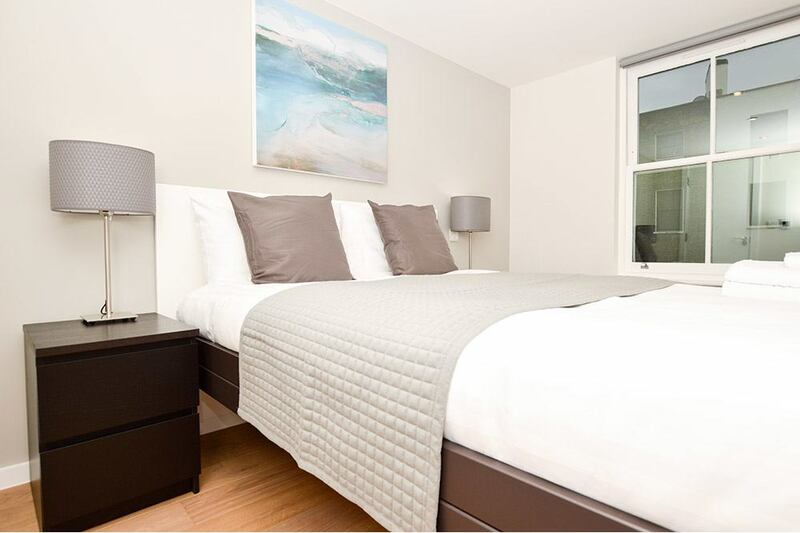 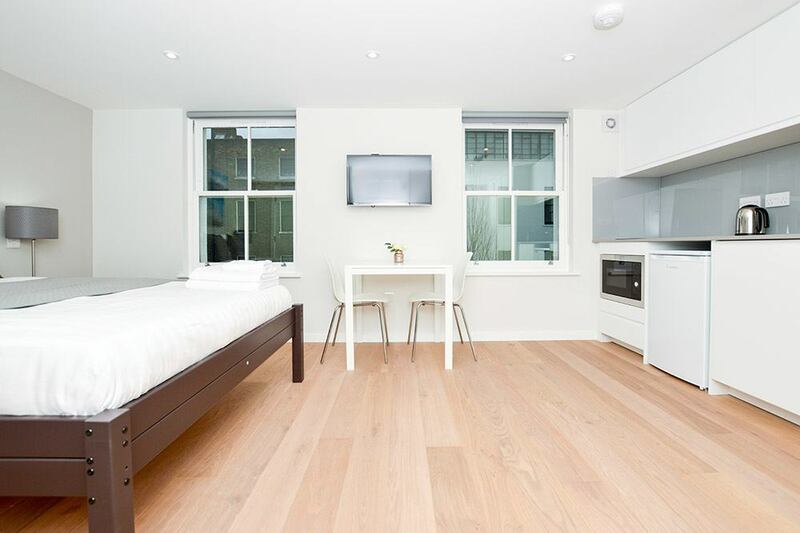 Warren Street Apartments are light and airy with an open plan setting and a modern kitchenette offering the convenience of self-catering whenever you want. 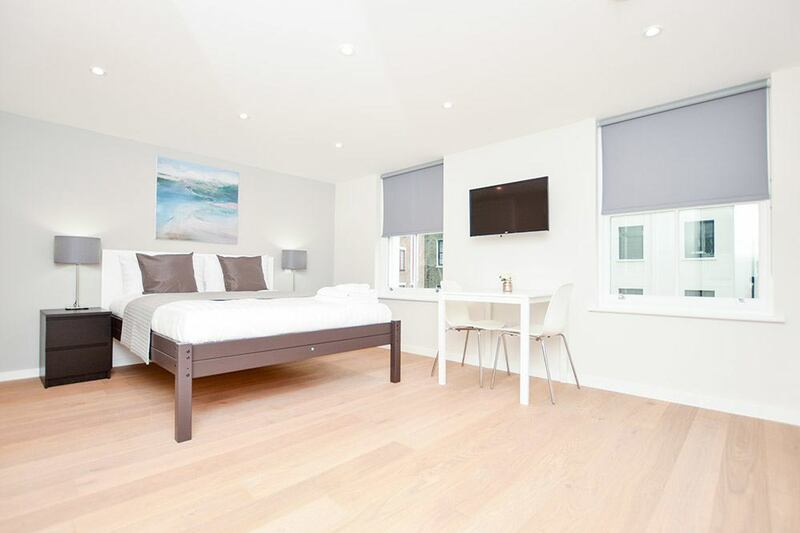 The beds are very comfortable with linen and towels all provided and there are newly fitted ensuite bathrooms and stripped wooden flooring within the apartments. 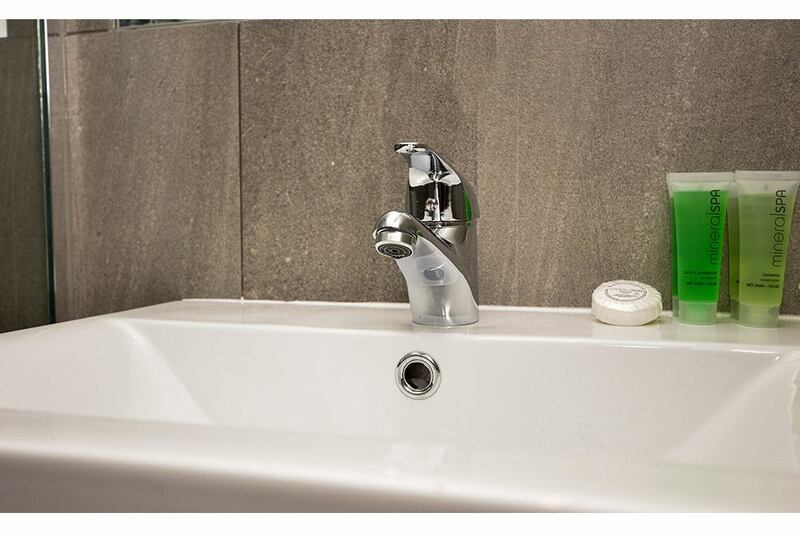 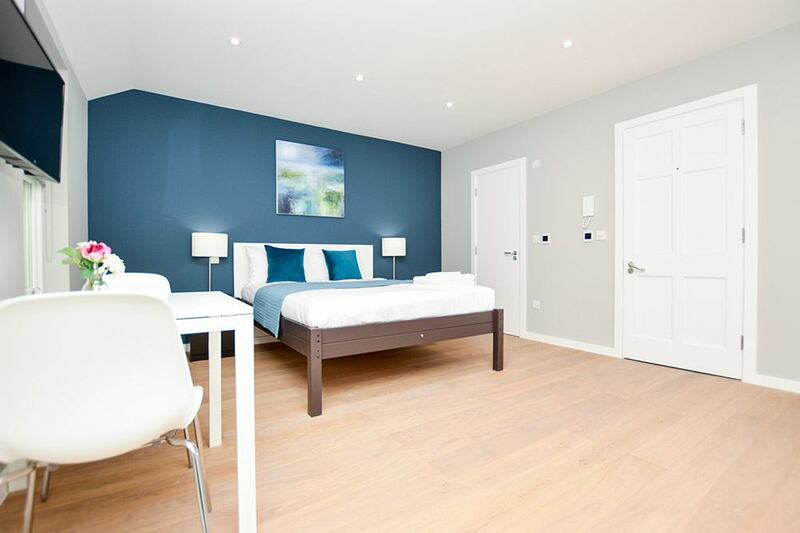 In addition to the high-spec mod-cons within the residence, you can also expect weekly cleaning, free wireless internet and someone to assist you with any maintenance or emergency situations throughout your stay, giving you that added peace of mind. 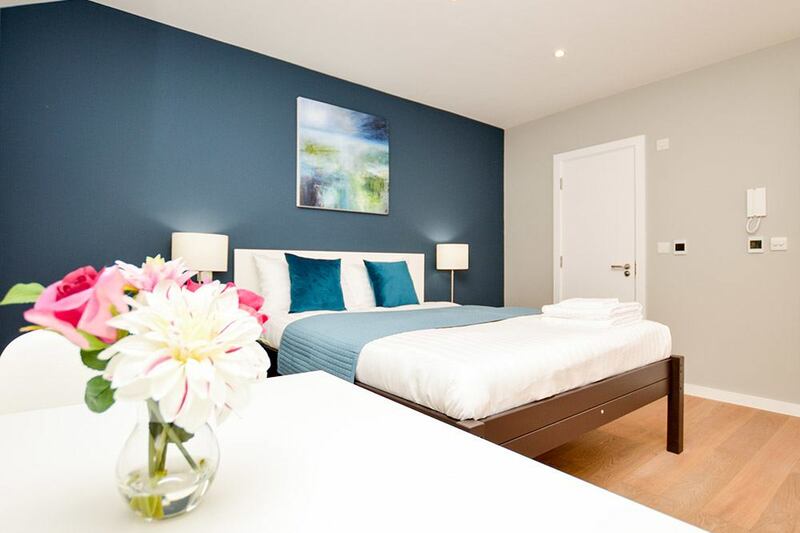 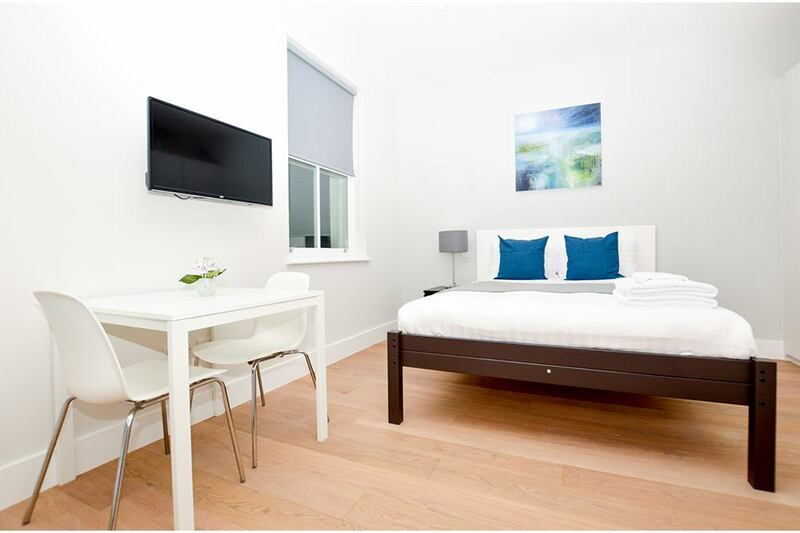 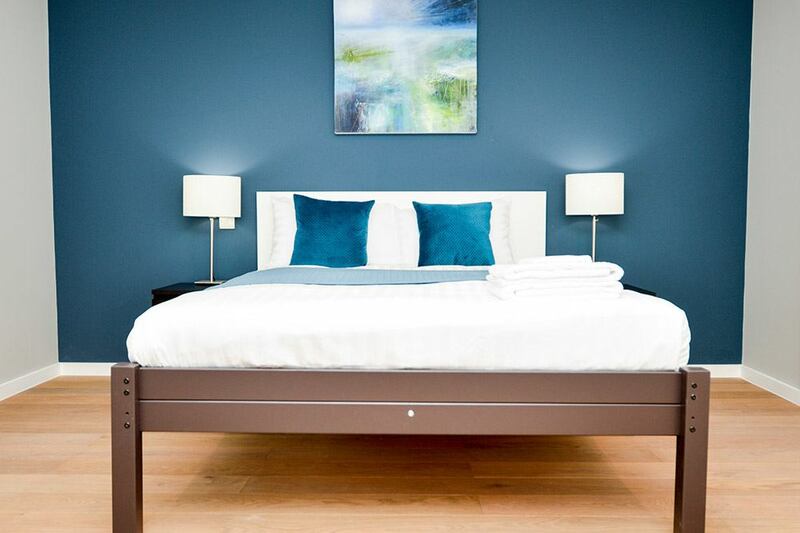 This is a great base for any short stay in central London.